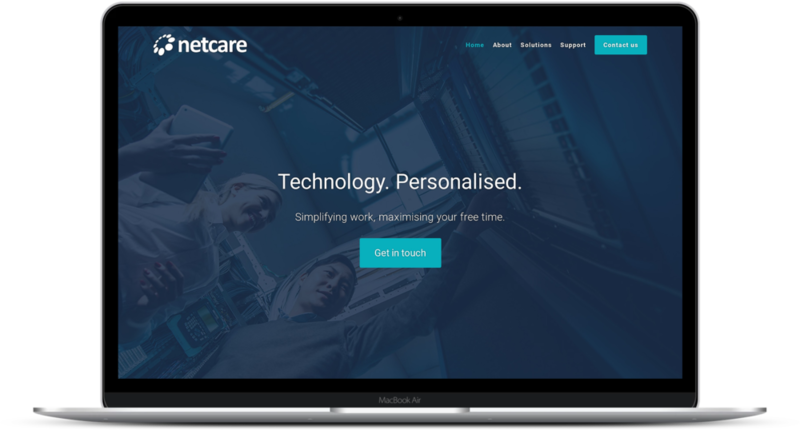 Netcare are an IT services provider with a strong base in the medical sector servicing businesses across the Auckland region since 1999. Talk to Netcare if you want an IT provider that takes customer service seriously. Netcare approached us wanting us to refresh their brand and build a site from scratch. They had an existing site, but knew that it was outdated and wasn’t fit for an IT company in 2018. We needed to design a site that looked fresh and portrayed Netcare’s key strengths; their customer service and responsiveness. After a series of workshops where we defined Netcare’s personas, positioning and buyer journeys - we mapped out the home page and our designers crafted some initial designs. We settled on a mixture of ‘professional people’ imagery and clean iconography. We also modernised Netcare’s brand colours with supporting shades such as turquoise. This look and feel carried over to the rest of the site. See the results for yourself.